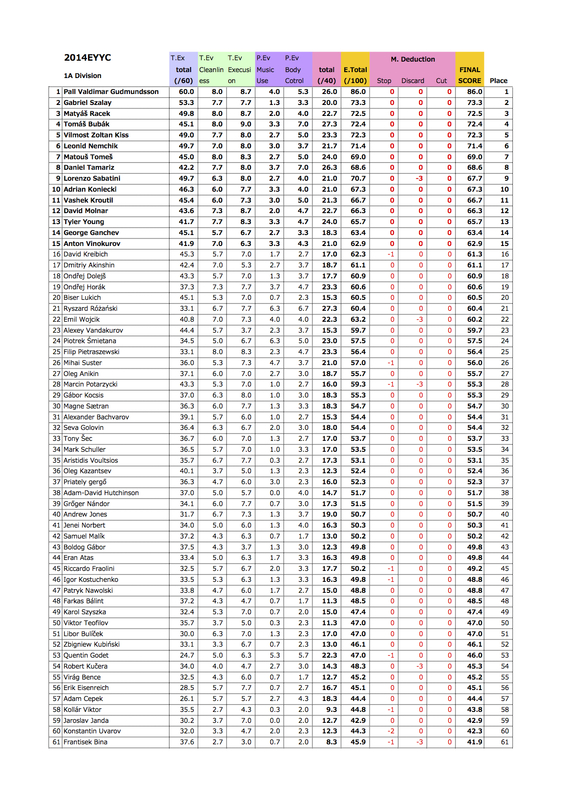 Here are the results for the 2014 World YoYo Contest 2A Prelims…these players will move to tomorrow’s finals! Results are in the for 3A, 4A, and 5A Prelims…the following players will move to Finals in each division! The first day of Japan Nationals is over, and we have the order of the final competitors in all divisions! Congratulations to all the competitors! Don’t forget to tune in to watch the live stream for finals! Finalists have been announced for the 5A Division! These players will compete in finals tomorrow for the title of European 5A Champion. We’ve got results for the 1A Prelims! The following players will be moving along to the final round of the 1A division at the 2014 European YoYo Championship. Results for the 1A prelims are up for the International and Polish divisions of WFC x Polish Nationals! Check the list of qualified players below! 1A Prelims are always the fiercest part of any major yoyo contest, but we’ve got some great talent going in to finals. The competition has been pretty tame so far this year…is everyone holding back for finals, or is this just going to be a light year for National Champions? UPDATE: Here’s the full list of players in 1A Finals! The crowd has been a little quiet as players have blasted through prelims here, but with big responses for a few favorites. Our data connection has been spotty, but we’re going to bring you results as fast as we can! Here are prelim results for 2A, 3A, 4A, and 5A…these are the players who will be competing in finals for their chance at the cup! Harold Owens III after his 1-minute prelim for the 1A Division. Photo by YoYoFactory. 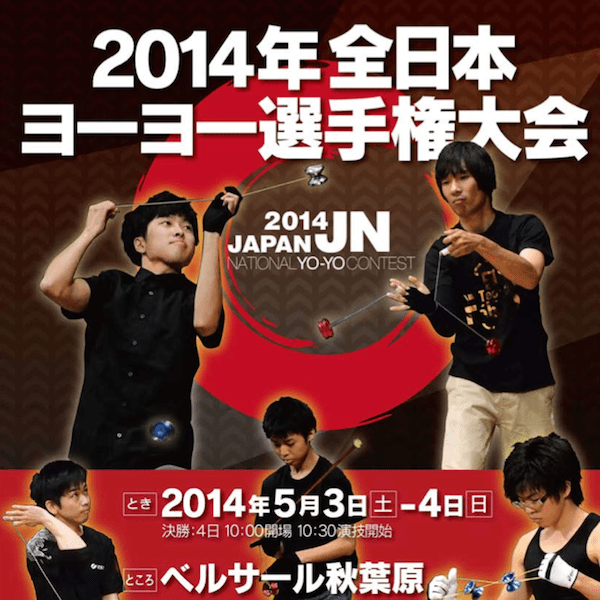 The 2013 World YoYo Contest has some of the fiercest competition in the world. Players from over a dozen countries are competing for the World Championship title in five divisions. Today they ran 1-minute prelims for the 1A, 2A, 3A, and 4A divisions. Prelims are still going on for the 1A division, but we’ve got Prelim Results for the 2A, 3A, and 4A divisions! Congratulations to all the competitors…the ones listed below in yellow will be moving on to the next round of competition, along with the seeded National Champions from recognized countries. The 5A preliminary round and 1A semi-final round were held earlier today. This is the list of finalists joining the seeded players tomorrow!